Lack of sleep can lead to many health issues like – weak immunity, weight gain and can affect brain health. Adequate sleep is around 7 to 8 hours each day. Never compromise with your sleep. Despite knowing about the numerous health benefits of regular exercise, many of us tend to follow an inactive lifestyle. You must try to include some kind of physical activity like yoga, walking, jogging, swimming or weight training. Exercise can make you fit and fine day by day. Meditation is also a healthy habit that you must include. Meditation helps in relaxing and calming the body, mind and soul. Additionally, it manages stress levels by relaxing the body. Drinking a glass of water early in the morning can do wonders for your health. Water can help in digestion, it will help you discard extra weight and make you feel energetic and active for the whole day. Make sure you drink a glass of water every morning before having tea or coffee. Breakfast is said to be the most important meal of the day thus you should never miss it. A proper and healthy breakfast will keep you full, active and also curb your hunger cravings. But make sure you eat healthy breakfast like oatmeal, yogurt, eggs, or a protein smoothie in the morning. It is important to either stop or limit the consumption of packaged or processed food items because these foods are laced with damaging preservatives and provide no nutritional value. Moreover, packaged foods can lead to weight gain and can be harmful for your overall health. A diet that is high in fiber can have a significant impact in your life. Fiber-rich food can promote smooth digestion, weight loss, healthy gut and also manage diabetes. You must always include fresh fruits and green leafy vegetables in your diet. Refined sugar is basically processed sugar that can be harmful to your health. So you must avoid intake of refined sugar as it can increase weight or raise blood sugar levels. Instead you can choose some healthy alternatives such as honey, coconut sugar or maple syrup. Before going to bed, you should do some stretching exercises that will be helpful for your overall health. These exercises will help in tightening the muscles and also strengthen them. Stretching will also prevent joint pain and tissue damage. Say thank you every day for the blessings you have and set goals to manifest the things you want in your life! On our farm in Hanalei we grow a few different varieties of cacao. We ferment the cacao on the farm and sun dry the beans. We have found there is a market for people who are looking for raw cacao beans as people like to roast them them themselves or eat them raw. So we started selling them online (see below)!! Most cocoa beans that you will encounter for chocolate making are fermented, but are not roasted yet. The fermentation process does darken them up considerably and you may think they are already roasted, but the lack of an evenness in color and texture is the key to telling when they are un-roasted. Roasting accomplishing a number of things. -It helps separate the outer husk from the inner bean and makes cracking and winnowing much easier. -It also virtually sterilizes the cocoa bean. This is rather important as the conditions in which cocoa beans are fermented are naturally full of bacteria, fungi and molds. Roasting reduces this risk of infection. Various chemical reactions occur when cocoa beans are roasted and proper roasting is integral to good flavored chocolate. The vinegar smell from fermenting is driven off. Raw beans don't taste like chocolate. Roasted beans do. As long as you are not over roasting or over fermenting, the cacao beans should maintain their nutritional benefits. Why are our dried apple bananas the best in the world?! I had a friend the other day ask why her dehydrated bananas that she makes at home don’t taste as good as ours?!? Well here is our secret..
First, we are using the best Kaua’i grown apple bananas from our farm and from other local farms. We peel the bananas only after they have reached full ripeness. This insures that they are very sweet. Then we have a special process that incorporates freeze drying in addition to low temperature dehydration. This gives our dried apple bananas that extra sweet caramel flavor. All of our dried fruits are made in very small batches to assure that our customers are getting the very best. 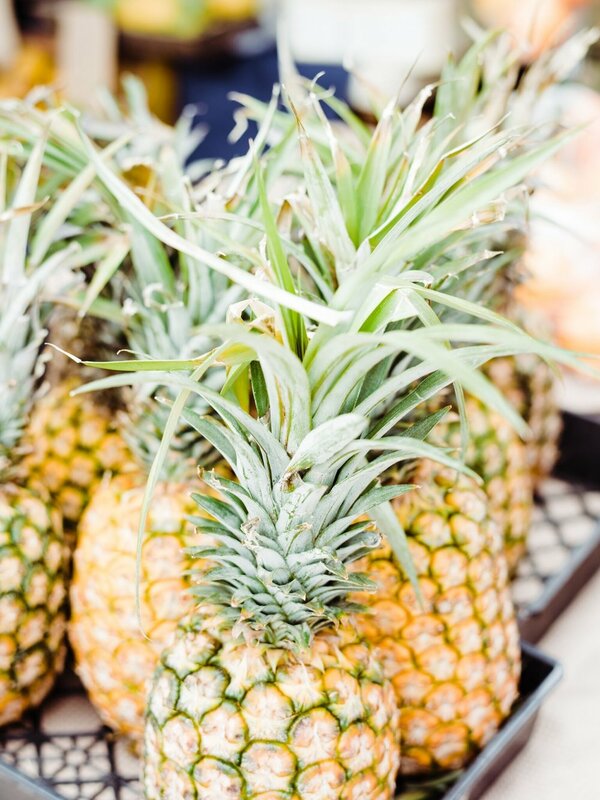 We are excited to announce that we have added Pineapple fruit strips to our delicious line up. Made using only two simple and local ingredients- Hawaiian pineapple and bananas. This is a sweet treat the whole family will enjoy. As always- We make our fruit strips in small batches to order using only the freshest fruit from our farm and other local farms. Bananas are considered to be a sports food. The carbohydrates present in ripe bananas gives instant energy. Children are very physically active whole day. They also get tired very fast and they need a lot of energy to do many activities. For maintaining the energy levels of your child, give him/her bananas regularly. Ripe bananas are energy boosters. You may give them bananas immediately after they come back from play. They will feel energized. The fiber present in bananas helps in good digestion. Bananas also contain a type of fiber called pectin which are water soluble. These water-soluble pectins increase and lead to the ripening of the bananas. This aids in proper digestion by converting the carbohydrates into simple sugars that are released. Regular intake of bananas regulates the bowel moment of your child and prevents gastrointestinal problems. The fibrous content gives a feeling of fullness and your child will not feel hungry for a long time. Bananas are potassium rich food. The potassium neutralizes the sodium that may be present in your child’s diet and thereby makes your child’s bones strong. The calcium that is lost during urination can be supplemented by a banana. Children who eat bananas regularly have better eyesight. Bananas can improve your child’s vision. Vitamin A is present in bananas and they are good for eyesight. It protects retina from any kind of diseases. Iron deficiency, where there is absence of red blood cells production, leads to anemia. Your child’s diet should include iron, folic acid, vitamin B12 and copper in sufficient quantity for the formation of red blood cells. A banana is enriched enough with all of these nutrients and helps in producing hemoglobin. Iron is good for your child and prevents your child from getting anemic. Bananas can be good fuel for your child’s brain. Potassium present in bananas helps in circulation of blood and thereby boosting the brain. Bananas can also increase your child’s concentration power. You may give them bananas as snacks to school or in between study hours. Our dried bananas are the perfect quick and healthy snack for your kiddo! Don't leave home without a bag! The Best Dried Apple Bananas in the world! "These dried apple bananas are the best in the world! Brings me right back to the islands." Find us on instagram and see the latest happenings on our farm and on Kaua'i! HANALEI — Fruit leather made simply from guavas, acai, and apple bananas fueled childhood for the Ben-Dor sisters. The three of them grew up on a family farm just past Princeville, at the end of Hanalei Plantation Road, and much of their food came from the 20-acres on which they lived. Together, Maile, Summer and Marla Ben-Dor produce a line of fruit leathers, cacao nibs and chocolate spreads with ingredients sourced straight from some of the same trees they ate from as kids. About 500 of those trees are cacao, and they’re peppered between breadfruit, guava, coconut and a plethora of other plants. From those cacao trees, the family harvests an abundance of pods that are split and turned into products like sun-dried cacao beans and chocolate tea. Moorhens, nene and other endangered birds hang around the edges of the farm in the wetlands the family created for them as a sanctuary, and fish populate the handmade ponds scattered throughout. The fruit leathers and other products from Hanalei Organic are made with simple ingredients. The fruit leathers are all fruit. The cacao is 100 percent cacao, and the Pure Mana Chocolate Spread is made with cacao, macadamia nuts and honey. And while healthy snacks made with locally sourced ingredients are important to the sisters, giving back to the community is also at the top of their priority list. After growing up on Kauai, they each went to the mainland for further education. When two of the three returned, Maile and Summer, the three sisters decided to donate a piece of their property to the Kauai Community. They turned it into a small park at the end of Hanalei Plantation Road, with stone tables and a view of the rice fields and mountains in Hanalei. A green building sits at the end of the park, where the Ben-Dor sisters plan to start a fruit stand. Another way they’re working to help the Kauai Community is through product sales. Hanalei Organic sells products at local health food stores and online, but they also use their fruit leathers as a way to make money for community groups. Any Kauai club, organization or collection of people can get involved with Hanalei Organic and sell fruit leather for $10 a bag, with half the proceeds going to Hanalei Organic and half going to the group. If you've ever thought about throwing away your city life for some country living, we are here to tell you that Hawai‘i is a pretty idyllic place to do it. Year-round gorgeous weather, stunning scenery, a healthy lifestyle...we have it all. The North Shore of Kaua‘i, in particular, has become a very popular choice due to its small communities, beautiful beaches, and laid-back lifestyle. Many celebrities have been making it their home in recent decades, too, for the privacy and unparalleled beauty it provides. One Kaua‘i family has not only made their country living dream a reality, but they've turned their land purchase into a family business. Pretty enterprising right? Well, with no big city to provide jobs, many Hawai‘i residents decide to forge ahead with their clever business ideas, doing what many of us only dream of accomplishing. Kaua‘i-born sisters Marla, Maile, and Summer have turned their parents’ farm into just such a family business. Marla lent her considerable creative talents and passion for wellness, combined with the real estate and retail expertise of her sisters to form Hanalei Organic. Together, they’ve turned their slice of Kaua‘i real estate and the bounty of their family’s 20-acre organic farm into a line of healthy, organic food products that are made with no preservatives or added sugars. Nestled next to the Hanalei River and overlooking the spectacular Hanalei Bay on the Garden Isle of Kaua‘i, the farm was their dad’s dream property. Many ingredients for their products are sourced directly from their property, which they revived with considerable effort from a wetland pasture to a productive one – planted with organically farmed superfoods like guava, açai, cacao, three varieties of banana trees, coconuts – and dotted with lotus and fish ponds. Endangered bird species perch on their 500 cacao trees, in one of the only places in America conducive to growing and making chocolate. Hanalei Organic’s ingredients—when not found on the family farm—are sourced on Kaua‘i. With a view to furthering a sustainable food culture on the Garden Isle, the business was inspired by their father’s dream to own a farm and ignited by the purchase of this unique land (see their website’s webcam for the superb view of Hanalei Bay) more than 10 years ago. Their line of treats come in sustainable packaging made from bio-degradable rice paper, and include mouth-watering, healthy organic treats like guava-banana fruit leather, acai-banana fruit leather, and dried apple bananas. From the bounty of the farm, they also produce cacao nibs, a chocolate tea, sun-dried cacao beans, and single origin chocolate that goes into their healthy and natural energizer – Pure Mana Chocolate Spread – made with locally grown macadamia nuts and local honey. Pure deliciousness! You can purchase their products online and at shops across Kaua‘i. Alternatively, schools and organizations can now organize fundraisers using their treats; by selling them and receiving 50% of the proceeds. Hanalei Organic has just finished a fundraising effort with a local outrigger canoe team to finance their race through the Pailolo Channel, between Maui and Moloka‘i. In just one week, four paddlers raised over $1,100 to help fund their trip. They also won first place in the unlimited mixed open of the 2017 Pailolo Challenge! To continue to fund their creative enterprises, the sisters are selling five acres of their 20-acre farm. The parcel for sale is arguably the best one, as it boasts 500 linear feet of river frontage. It is a 3-minute boat or stand-up paddle ride to Hanalei Bay, where any new owner could potentially build a large estate and guesthouse. Currently, there is a one-bedroom, 1,440 sq. ft. cottage right by the river. The parcel is primarily devoted to açai production and has an ag dedication (because it is part of Hanalei Organic farm) till 2026, which means the new owners will have considerably lower taxes. If this lifestyle sounds like a dream come true, check out their property listing here.